This directory lists where to get items repaired, or to obtain parts and schematics. If you’d like to add or update a listing, please contact Director Thomas Bonomo who will post your information. Dennis Anderson, 388 Morrison Rd. RR#4 Marmora ON Canada 40 years experience in Hi-Fi and radio electronic repairs OK will do some cosmetic repairs. Repairs to audio electronics Guitar Amps also amps from Juke boxes and Organs. Sam Bidkaram, phone number (510-792-3696). Mike Biddison – Specializes in pro audio & vacuum tube equipment repair & restoration, including vintage radios & hi fi. “Analog Audio Service,” Merced, CA. 209-201-6506. Leonard Cartwright – Restores & repairs old meters, moving coil, hot-wire and AC pre 1930. “Ye Olde Meter Cellar”, 23453 Rolling Hills Ct., Auburn, CA 95602. 530-268-9170. Phil Caruso – Recones speakers, repairs vintage radios, amplifiers, jukebox amps and mech, band equipment, and solid state components. Carmichael/Sacramento CA. Cell 916-296-0610 …. Residence 916-489-6761 . Jim Cirner – Specializes in antique radio repair.” Jim’s Antiques”, 149 Tyler Ave., Santa Clara, CA 95117. 408-296-0860. Larry Clark – Is the CHRS Technical Advisor & Librarian. He will help you solve problems by phone or by mail. Larry will provide members with reprints form the CHRS library of schematics or other information from Riders or Sams. Send $1 and a SASE to: 438 York Dr., Benicia, CA 94510. 707-745-9132. Fred Deal – Restores mechanicals of antique, (crank) phonographs and reproducers, cylinder and disc types. Rebuilds antique radios and TVs to better than factory specs with new mylar capacitors. 2611 Kim Ave., Sacramento, CA 95832. 916-338-2182. Robert Fabris – Provides escutcheons for E. H. Scott radios. Resin castings with “gold” finish. 3626 Morrie Dr., San Jose, CA. Simon Favre – Repairs car radios up to the cassette era, especially Blaupunkt and Becker. Radios typically need re-cap and re-alignment. Mechanical and electronic repairs. Also repairs guitar amps, audio gear, and electronic test equipment, tube and transistor. Milpitas. (510-676-9091) Leave message. Peter Giles – Offers professional photo services for photography of individual radios, complete collections or special assignments on location, at home or in studio. 34700 Skylark Dr. #4, Union City, CA 94587. 510-487-0336. Jack Gray – Repairs early radios and early Juke box amplifiers. Over 50 years of electronics experience. Specializing in 1930’s through 1950’s equipment. I have purchased the remaining new-old-stock of embossed foil fronts for the Arvin model 441-T “Hopalong Cassidy” radios and have available either the standing or rearing Topper designs. Tom & Virginia Hawthorn – Repair antique phonographs, (crank models only). Reasonable prices. All work guaranteed. Needles, parts, supplies, restored phonos for sale, 78 RPM and cylinder records bought, sold and traded. Full service dealers. “Hawthorn’s Antique Audio”, Roseville, CA 916-773-4727. Dan Healy – Repairs and restores radios. “Classic Radio Service”, 25 Maple Rd., Woodacre, CA 94923. 415-488-4596. Allan Hibsch – Will repair wind up phonographs. Limited restoration. Certification and history services. Special consideration for members. 4 La Folet Ct., Oroville, CA 95966. 530-589-0138. Joe Himsl – Refinishes radios back to original condition. Hand rubbed lacquer. 5458 Preston Ct., Concord, CA 94521. 925-672-4652. Larry Jackson – Refinishes radio cabinets. 19506 Industrial Dr., Suite D, Sonora, CA, 95370. 209-533-9326. Dale McLellan – Restores and repairs antique radios. “Antique Radio Service”, 3379 Industrial Rd., Las Vegas, NV 89109. (In the Vintage Antique Mall). 707-866-2620. W. S. (Bill) Miedema – Offers advice on repair. Tower Lake, 101 Devonshire Rd., Barrington, IL 60010-1209. 847-526-6131. Bill Raukko – ARRR – Antique Radio Repair & Restoration 916-768-0076 Email: Luvmyradio@comcast.net Located in Tulare, 40 miles south of Fresno. Complete repair and restoration of tube radios from the 1920’s through early 1960’s. Frequent trips to Sacramento area and LA. Will pick up and deliver in the Sacramento area or along the Highway 99 corridor. Dan Smith – Specializes in hi – voltage & hi – vacuum. If you have an odd, old discharge tube that is leaky, perhaps he can fix it. 8904 Cypress Ave. RR-1, Cotati, CA 94931. 707-664-8156. Dan Steele – Repairs and restores vintage car radios 1930 to 1970. 1415 S 4th St, Oceano, CA 93445. 805-489-8200. Fred Stone – Does tube type radio repair, (no cabinet repair). For home or auto. Free estimates. He can also help on calibration of tube test equipment, VOM, signal generator, VTVM, etc. 334 E. Chestnut Ave., Orange, CA 92867. 714-921-8676. John Wallin – Repairs antique automobile radios. 420 Amador Ct., Manteca, CA 95336. 209-823-5474. John Wentzel – Has been repairing radios since 1946. Tubes. Parts. Complete service. “Aladdin Radio”, 1609 Irving St., San Francisco, CA 94122. 415-731-1920. 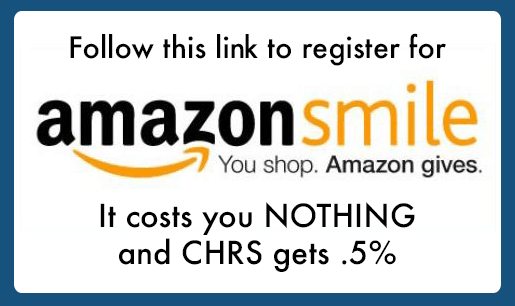 Repairs for CHRS members only. Ekkehart Willms – Will repair and restore microphones, telephones, phonographs, fans and electric motors. 137 West 40th. Ave., San Mateo, CA 94403. 650-349-4050. Fax 650-571-9070. David Wolze – Restores tube pro audio gear, amps, pre-amps, mixers and effects. FM and FM Multiplex repair and alignment. 3076 Shadow Springs Place, San Jose, CA 95121. 408-238-3509. Roy Yost – Repairs pre-1957 auto radios. 30 Clinton St., Redwood City, CA 94062. Daniel Zavarro – Repairs Juke boxes and has parts for them. P.O. Box 99, Laytonville, CA 95454. 707-984-8796.